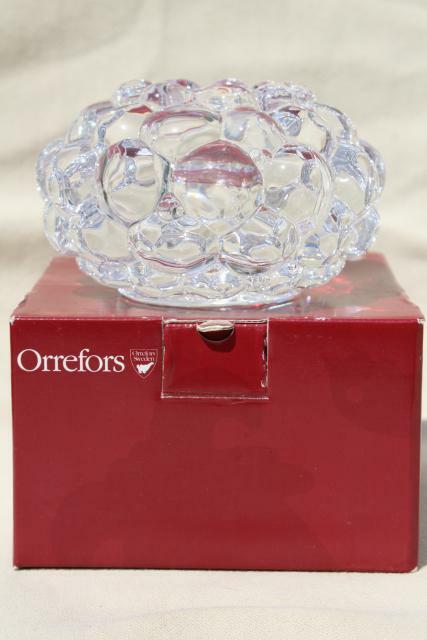 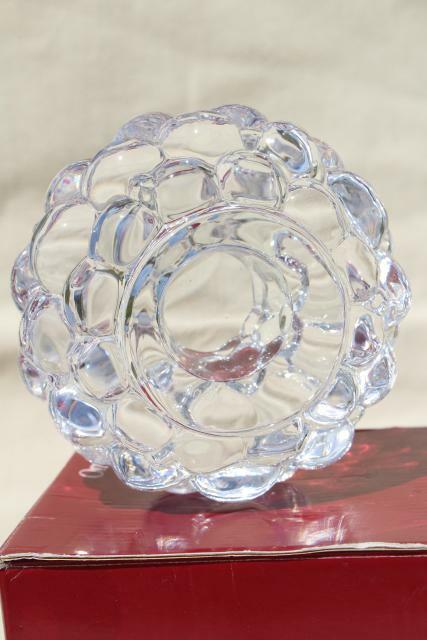 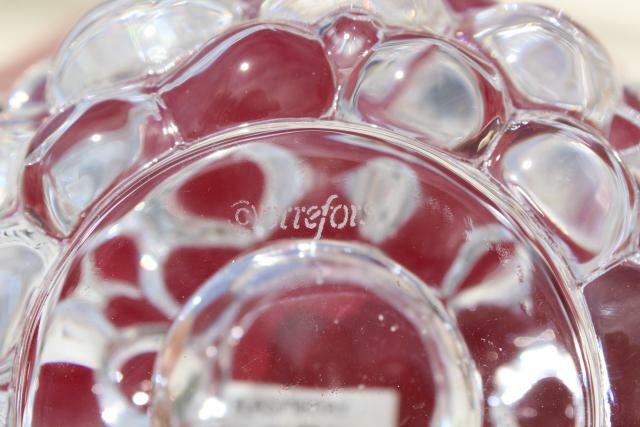 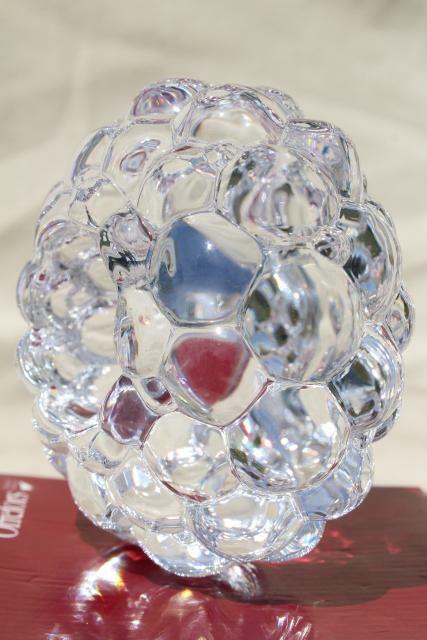 Vintage Orrefors Sweden crystal votive holder, raspberry design in sparkling clear glass. 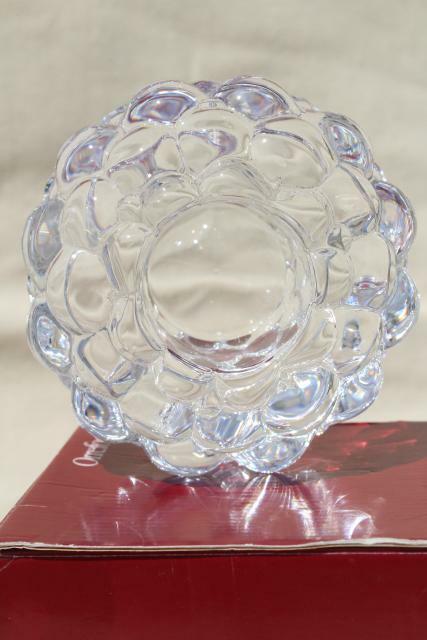 This is the large one, about 4" in diameter overall. 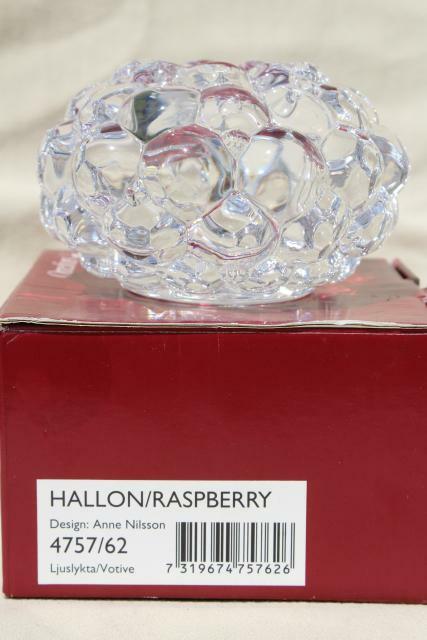 It's in excellent, unused condition, still in the original box. 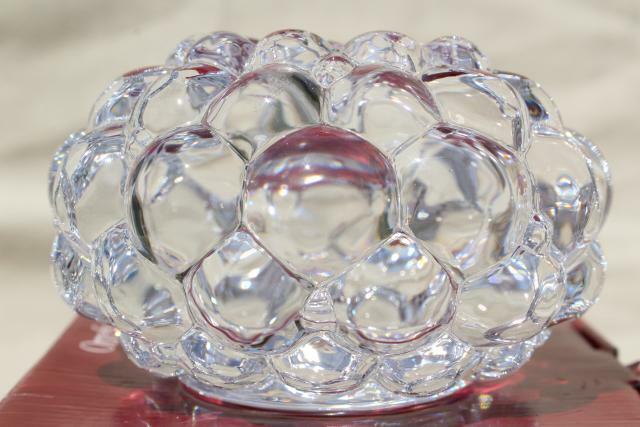 The box is a little worn.